We were able to purchase cheaply with a lot of clips. I will buy it again. This review is about item#34973626. 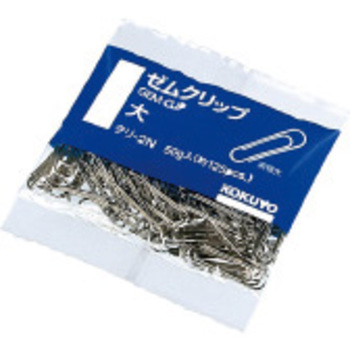 I have used clips from various manufacturers until now, but KOKUYO's Them clip is the easiest to use and there is no concern of damaging documents. You can use it at ease. This review is about item#34973617. From this year I become a chairman of the neighborhood and it is useful for circulation. But I wish I had made it inside. This review is about item#34973601. This review is about item#34973635. I use it every day to keep the document. The price and the feeling of use are also satisfied. It is made of Kokuyo, this price is pleased with this number, I am satisfied. I have stopped the invoice and receipt. It is not big, it does not get in the way, it is handy. I am using no problems! It is good that the price is cheap though it is made by Kokuyo. This review is about item#34973644. I use it in office supplies. From the color clip, this product is the best. Since there were about 1000 pieces in the box as it was a naked clip without a bag, when the box was opened for the first time a lot of clips fell. At least, I wanted you to put it in a bag. There are no problems with the product ☆ There are four. The product itself is not a problem. I want the price to be a little cheaper. This review is about item#34973592. I think that it would be good if you could purchase it cheaply since it will be used quite a bit in administrative terms. As goods withstand sufficient use. Since there are few things in stock at the shop, it was convenient to order on the net. Although it is everywhere in a small amount, because the price is high, I always buy with Monotaro san. I bought it with a different size. Because it is inexpensive, I am buying repeat. There is no particular problem. It is inexpensive and useful as it is used in large quantities. I will rip it. It is useful for things with some thickness. It was cheap and I am glad because I do not mind the size either. It is used for organizing documents and slips and distinguishing them. Since it is only used in general use, there are no complaints and poor usability, and it is used conveniently. I will be saved if there is a little more amount.